This diverse group boasts a combined 80 years of experience, giving us the expertise and a broad base of knowledge to tackle all of your financial needs. A Nashville native, John has four decades of experience in the field, building a clientele that in some cases spans 35 years. That loyalty is likely due to his willingness to go far beyond the normal relationship, turning most of LPL Financial's clients into good friends as well. 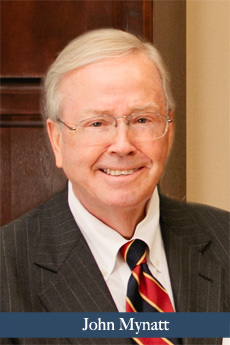 John started in wealth management in 1972 at NYSE member firm A.G. Edwards & Sons Financial before accepting a political appointment as assistant finance director for the city of Nashville and executive director of the Benefit Board. He also worked for JJB Hilliard Lyons before striking out on his own in 1979. As an independent with LPL for the last 25 years, he is consistently in the top 10 percent of the firm in terms of production and service to clients. John has more than $50 million in assets under management and his specialties include municipal bonds and strategic stock and ETF evaluation and execution. He is passionate about finance, enjoying areas like macroeconomic analysis so his clients don't have to. John works alongside his wife, Pat, and they have three grown daughters and one grandchild. In his spare time, he is an avid outdoorsman and hunter. Pat is a former educator, and that background positively impacts how she approaches her clients, taking the opportunity to educate them about the entire process and their wide range of options. Born in Washington, DC, Pat grew up in the Iowa. She graduated from the University of Iowa and held teaching positions in Cedar Rapids and Atlanta before meeting John on a blind date. They married in 1973 and Pat continued to teach in Nashville before taking time off to raise their children. She joined LPL in 1991, after realizing that it allowed her to put her teaching skills to work, just in another arena. 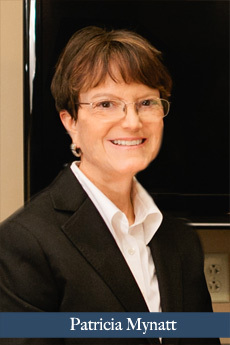 Pat specializes in financial planning for the team's clients. A Certified Financial Planner TM practitioner since 1997, she focuses on comprehensive advice to clients, including long-term care insurance. Pat has recently been selected by Dave Ramsey as one of his “Smartvestor Pros” and adheres to Dave Ramsey Solutions’ mission and personal finance principles. Pat and John have three grown daughters and four grandsons.. She also has a passion for community service and is a longtime volunteer with the Salvation Army. Patrick's ongoing passion for all types of sports, from pee-wee to pro, along with the business behind the games, brings a level of expertise to his work that can't be matched. In college, he earned a degree in Accounting while playing NAIA basketball at Trevecca Nazarene University. 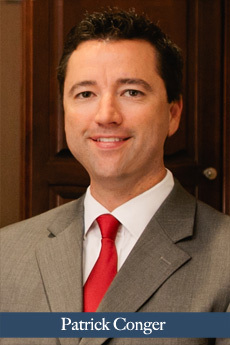 He then received the AAMS designation from the College of Financial Planning and an Executive Certificate in Financial Planning from Belmont University. Patrick has managed his advisory clientele since 2001 at NYSE member financial firms Robert W. Baird, Morgan Keegan and UBS, before joining LPL Financial in 2011. Patrick's clientele is a diverse mix of corporate executives, families, and pro athletes. His background in athletics, as a player and coach, make him perfectly suited to advise athletes in financial matters. In his career, he has provided wealth management advice to pros in MMA, baseball, basketball, and football. He is a Registered Player Financial Advisor with the NFL Players Association. Patrick currently serves on the Board of Directors for non-profits FiftyForward, Inc. and Matthew Walker Comprehensive Healthcare Center, and is a past Board Member of The Bethlehem Centers of Nashville and The Young Leaders Council. LPL Financial, Registered Investment Advisor. Member FINRA www.finra.org and SIPC www.sipc.org. The LPL Financial Registered Representatives associated with this site may only discuss and/or transact securities business with residents of the following states: AL, AR, CA, CO, FL, GA, HI, IA, IL, IN, KY, LA, MA, MD, MI, MO, MS, NC, NJ, NV, NY, OH, PA, SC, TN, TX, VA, WA, WI.